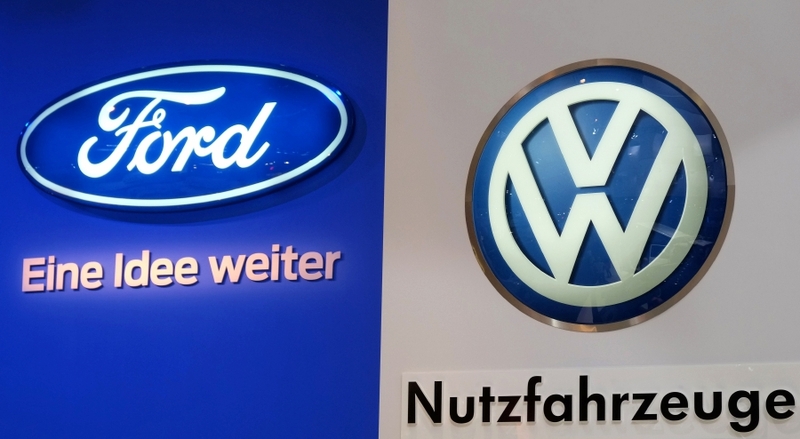 DETROIT: The Detroit auto show was abuzz over what Ford and Volkswagen would announce Tuesday, after the car giants called off a joint appearance during which they were widely expected to announce an alliance. A highly-anticipated announcement at the US’s premiere auto show in the Motor City was called off late Monday, and the two sides planned a conference call with reporters instead for the following morning. “We don’t have enough details yet to go out in front of more than 500 journalists, so we decided to call it off,” Ford spokesman Mark Truby told AFP. “Volkswagen is a really big car company worldwide... but we are not as big in small commercial vehicles,” Diess told the Detroit Free Press newspaper. For those looking for an alternative, carmakers were emphasizing sporty cars and nostalgic pasts – largely eschewing the traditional sedan in favor of flashier options. With a flair of showmanship that included virtual-reality goggles and a sports car levitating down from the ceiling, Ford revealed a high-powered version of the Mustang called the Shelby GT500 – boasting of more than 700 horsepower. Toyoda trotted out Spanish racecar driver Fernando Alonso to attest to the car’s racing authenticity with an everyman appeal. “It’s like a race car you can drive quite comfortably every day,” Alonso said during a scripted presentation. Hoping to revitalize the show, organizers were holding the event for the last time in January and will move to June next year to allow for outdoor activities such as test drives. For the industry at large, the hope was that bigger and more profitable SUVs and trucks would help weather economic storms – whether from tariffs or fewer consumers buying cars due to rising prices, higher interest rates or a lagging world economy. “Tariffs would be devastating to the entire industry,” said Robert Carter, chief of Toyota’s North American sales, adding that vehicle prices would increase and suppress sales. The president of Chinese automaker GAC, Yu Jun, said the ongoing trade war had delayed the company’s entry into the US market from 2019 to the first half of 2020.